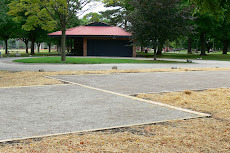 Pétanque Ann Arbor: 2013 Pétanque Season Starts 12 May @ 2:00 p.m.
2013 Pétanque Season Starts 12 May @ 2:00 p.m.
Come join us for fun and friendly competition. Newcomer lessons, tutorials, and tournaments. We have boules you can use; just bring yourself or come with friends. We have a egalitarian way of choosing teams that is fun and instructive. Contact the Senior Center in Burns Park if you want to borrow boules on other days.